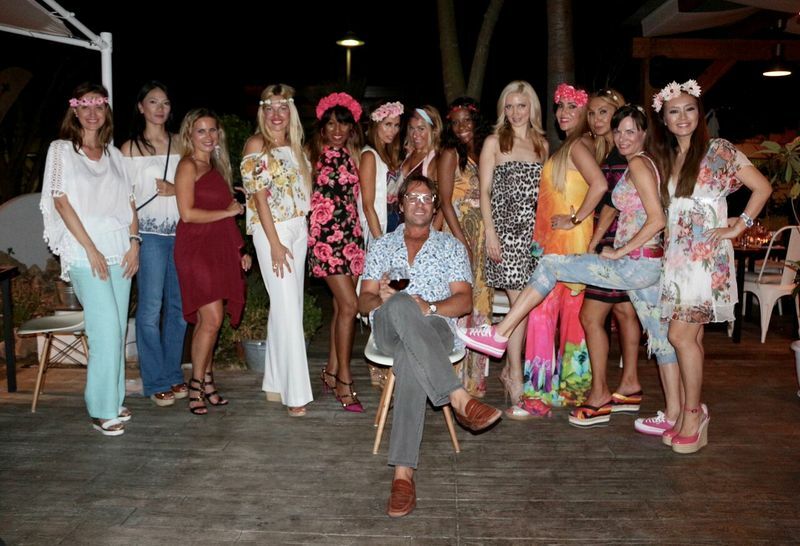 On June 14, 2016, Saeko Hamada arranged a surprise Hippie Flower Power birthday party for her husband Alessandro Della Morte at JAM Puerto Banus in Marbella. There were countless presents, and funds were donated to Alessandros' charity fund Monsalvat for Asia. The guests included Claudia Rodriguez, Johanna van den Berg, Luigi Spago, Tiara Tian, Dania Rahmoun, Dorothea Adamson, Irache Villada, Katy Kashef. Kaouthar Wadih, Sandra Rojo, Yudith Agüero Ruiz, Lola Perez, Kenza Eyzaguirre, and Beatriz Dominguez Prieto. The star guest of the evening was Manolo Santana himself! A very happy couple Saeko Hamada and Alessandro Della Morte have just celebrated their 5th marriage anniversary. Saeko arranged a surprise birthday party for her husband, and her thanked her like this. Saeko Hamada would like to thank JAM Puerto Banus, and especially, dearest Emanuele and Tony for delicious Italian food as well as my (very surprised) husband and friends for having a great time at JAM!